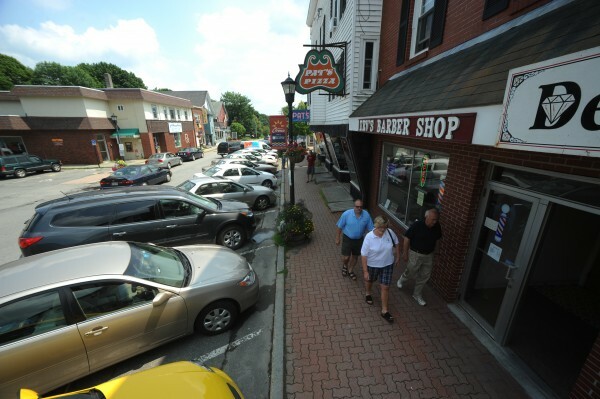 People walk on Mill Street in downtown Orono on Tuesday. NexxLinx, which purchased Microdyne Outsourcing, said it plans to add around 200 jobs at the Orono center by the end of the year. ORONO, Maine — NexxLinx, the Atlanta-based company that acquired Microdyne Outsourcing in February, announced Wednesday that it is creating 200 new jobs in Orono. The Microdyne call center employed about 275 people, and NexxLinx already has added 150 employees since taking over the facility. With 200 more jobs coming, the company will have doubled its size in less than a year. NexxLinx provides outsourced customer support and technical service through phone calls, Web chats and email for companies ranging from cable providers to video-gaming giants such as Electronic Arts. Recruiting efforts already have started, said NexxLinx Chief Operations Officer Jeff Buckman, who traveled to Orono to make the announcement. “We really want to be an integral part of the labor force in Orono,” Buckman said. NexxLinx will host an open house from 9 a.m. to 6 p.m. Thursday at the Orono call center, 3 Godfrey Drive, for people interested in filling out an application or finding out more about the company, Buckman said. Most of the new positions are in the call center, where employees field questions and concerns about products from customers of NexxLinx’s client companies. In addition to Electronic Arts, those clients include Time Warner Cable, Reader’s Digest and The Golf Channel. The call center employs a large number of area high school and college students because of its flexible hours and the nature of the work but encourages anyone seeking employment to apply, Buckman said. Customer service experience and knowledge of computers are helpful, he added. “This is a good entry-level, starting-up-your-career job for anyone,” said Neil Quarterman, NexxLinx’s chief financial officer. He said employees who once answered phones for the company have gone on to positions as directors and vice presidents. Employees in the call center make between $9 and $15 per hour, depending on which of NexxLinx’s clients the employee is fielding calls for. Workers also can earn commissions and bonuses, according to the company’s human resources department. The company hopes to have most of its 200 new seats filled within the next month or two.